It's no secret that I really like quirky lesbian couples, and I figured if I wanted to see some on MTS, I'd have to make them myself. 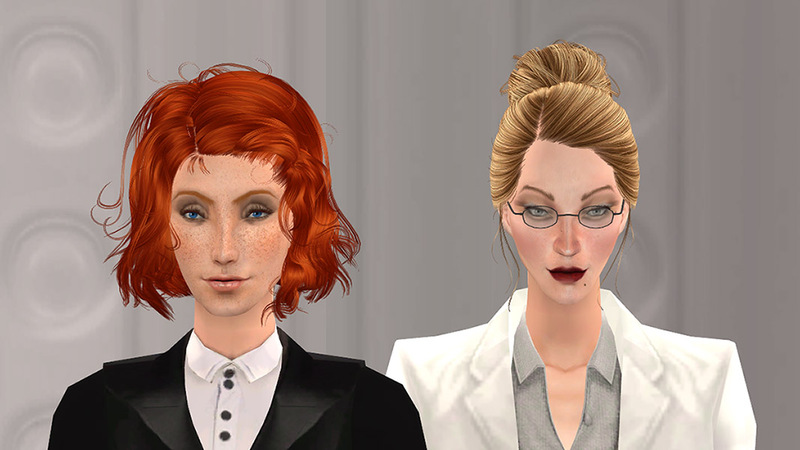 Rosa and Sophia are based on my favorite Sims to play, and editing their appearances was my first try at creating Sims with CC. They're written as occupants of Strangetown, but feel free to make a home for them wherever you see fit - with a little creativity, they can cause trouble in any neighborhood! 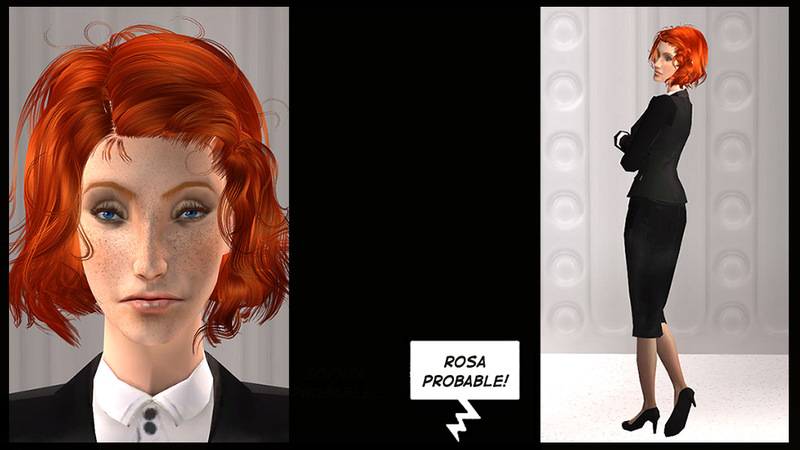 Rosa and Sophia Probable went to Strangetown to pursue some of their favorite past times - namely robotics, the occasional weather manipulation, and back alley reconstructive surgery. 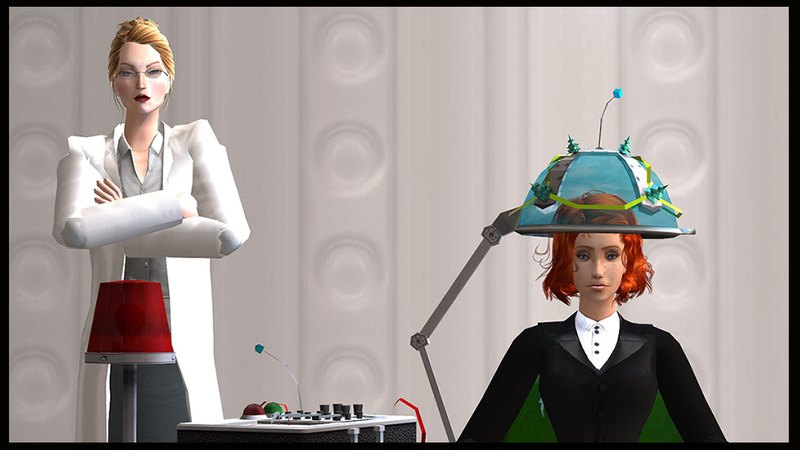 The Sims in the city just did not appreciate their contributions to science and medicine. Not only that, the Consortium of Negatively Nepotistic Intelligent Villain Elites (C.O.N.N.I.V.E.) didn't think the Probables were evil enough to be villain material. They weren't even pursuing careers in crime! Will the Probables get their act together and build their skills in crime long enough to become proper criminal masterminds? Or, will they have a change of heart and use their talents for good? Rosa got her start as an unadoptable orphan who was passed around foster Sim families until she came of age. She's always been quiet and secretive, preferring solitude over the company of others. Tinkering and building mechanical contraptions are her main past times, as is taking apart any piece of technology she can get her hands on. As a child, this didn't go over well with the foster families whose tech was often destroyed in the process; Rosa learned early on how to cover her tracks and work on her tinkering when everyone else was asleep. She's retained this habit as an adult, preferring to work alone and late at night, fueling sleeplessness with her coffee addiction. 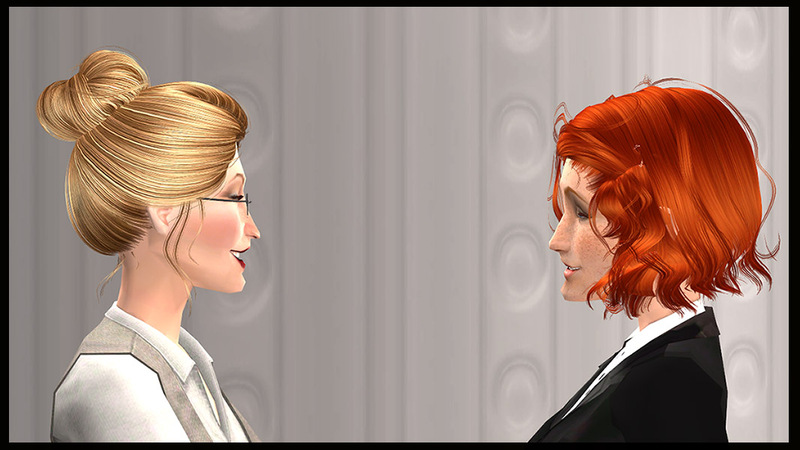 Sophia is Rosa's first love, and the only Sim she's willing to tolerate on a regular basis. 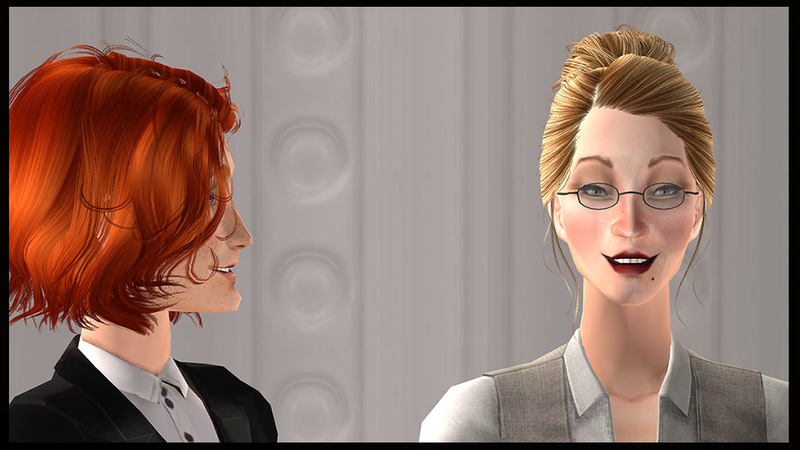 However, it's not impossible for her to get to know other townies and make a few friends now and then, with Sophia's encouragement. Sophia came from a family of card-holding evildoers, and it was expected that she would continue the family legacy. She's certainly tried to, but still hasn't gone past the general reputation of mad scientist. Her move to Strangetown with Rosa also means she's far from the Probable Compound, and the prying eyes of her relatives. Sophia's more outgoing than Rosa, and uses her people skills to gain trust, establishing a good rapport with the locals so they won't suspect what she has up her sleeve. Most of the time even she doesn't know what she has up her sleeve, but it's better to be prepared. Although she doesn't have much medical training, she's dabbled in surgery on unwilling subjects, as it seemed a very dastardly thing to do. 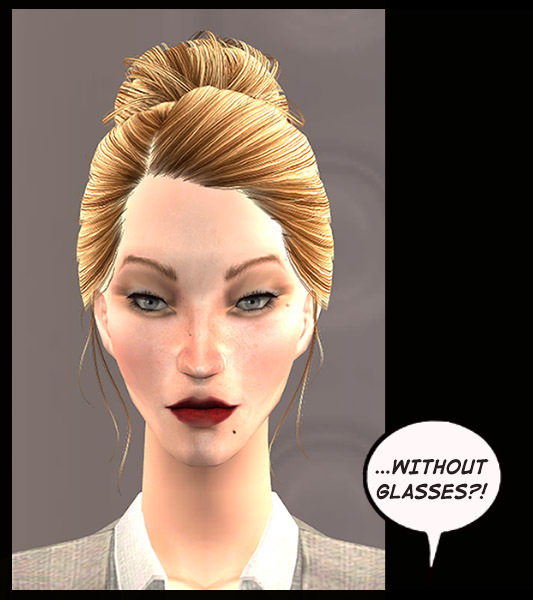 She's found many Sims are willing to seek out her low-cost plastic surgery, despite her dubious skills and even more dubious reputation.